Where you wouldn’t expect to find fashionistas– Patty Lee of the New York Daily News ILLUMINATES them!! Patty Lee covers fashion, food and other fun parts of the local scene in NYC for the New York Daily News. Her photographs and story brings color and meaning to the readership as she captures the style of everyday New Yorkers she notices on the street. I’ve enjoyed “On the Street” for awhile now, and think you should check it out if you’ve never seen it. Through her column in Features, Patty is in charge of spreading the urban style of trendy women in order to inspire and… of course, entertain. She chooses 4 from many, and arranges them on the page so that their head-to-toe sartorial choices are in full view. Each woman gives a translation of her look, and Patty shares their mood alongside the photo. Her favorite “interview” so far has been a mother-daughter combo, where the senior of the pair (Mom) was dressed colorfully, looking vibrant and energetic. The younger half was all in black– completely comfortable in classic New York chic! I'm one of forty plus women selected by the Women's News Bureau! I’m proud to be one of forty plus women selected by the Women’s News Bureau to follow on LinkedIn today. The Women’s News Bureau (http://womenpartner.org) has gathered over 40 women for you to network with today on LinkedIn to help you maximize your membership. Read their news snippets and invite them to connect. Then strike up a conversation about collaborating to introduce each other to your respective clients. 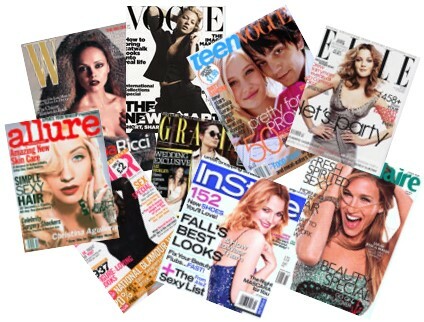 Want a make over and have it featured in a national magazine? 1. Women ages 20 to 36. 2. Women whose look could use some freshening up. Maybe she thinks mom jeans are ironically cool (they’re not), or darkens her eyebrows with a Sharpie (true story), or is holding on to a hairstyle that made her hot ten years ago (but isn’t doing much for her these days). The more outrageous her fashion or beauty transgressions the better. Don’t worry about offending her–she’ll be too excited about getting a makeover to be upset. 3. Women who could use some pampering. Perhaps she’s a single mom, or she’s fighting cancer, or she’s putting herself through college singlehandedly, or she lost her job earlier this year. We want to make her feel amazing for a day. 4. Live in the New York City area (surrounding states are fine). Do you know someone who meets ALL these requirements? Please email us if you do (YES, you can nominate yourself), or pass this post on so they can respond to the questions. Send an email that answers the following questions to fashionsocietenyc@gmail.com by Thursday, September 22 at 12 noon EST. As an extension of The Zoe Report’s Q&A feature Ask Rachel, each week the celebrity stylist will answers a burning fashion questions exclusi vely for Who What Wear and now… Fashion Societé readers! If you were only going to buy one style of handbag this fall, what would it be and why? Anytime I am faced with the dilemma of choosing just one option of any particular item—I often encounter this predicament when traveling—my instinct is to always go with the most classic, versatile choice. So if I was going to carry only one handbag all fall, I can say without hesitation that it would definitely be a tote! Breaking down a few different styles, my top pick would be one that is solid leather, like 3.1 Phillip Lim’s Pashili Satchel, Diane von Furstenberg’s Drew Metallic Tote Bag or even my personally designed Zoe Leather Tote, which I am currently relying on to hold all of my necessities amidst the NYFW mayhem! Have you checked out our “The Big O” event yet? For live info about your sexual state of mind and where it takes you 😉 please attend!! Psst! How Do You Feel About Dirty Talk? : glamour.com.